JanArie VandenBerg was born February 4, 1967 in The Netherlands. He studied Theology at the University of Utrecht (The Netherlands) after originally working as a Professional Engineer. Upon completing his theological studies in 1997, he moved to South Africa to teach at Mukhanyo Theological College while also pastoring a Dutch speaking congregation in Pretoria. Rev. VandenBerg was called back to The Netherlands to be a minister first of the Dutch Reformed Congregation of Nieuw-Lekkerland in 2002, and then of IJsselmuiden-Grafhorst in 2008. 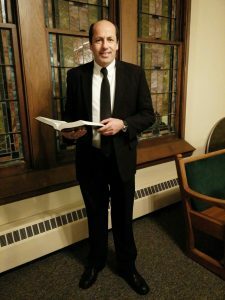 In 2013 he moved to Grand Rapids, Michigan where he is currently serving as pastor of Providence Reformed Church.